On May 22, 2011, one of the deadliest tornadoes in U.S. history ripped through downtown Joplin, MO causing an estimated $3 billion in damage and claiming at least 151 lives. The damage was devastating; schools, hospitals, nursing homes, and other large buildings were completely leveled. Entire neighborhoods disappeared and steel and concrete warehouses were flattened. 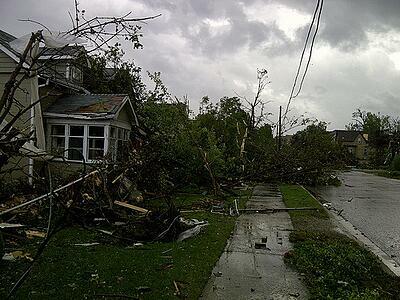 The American Red Cross estimated that around 25% of Joplin was destroyed. The loss of life was even more shocking. The Joplin tornado was the first time since 1953 that more than 100 people were killed in a single tornado. Tornadoes are one of the most destructive forces in nature. A tornado’s whirling winds can reach 300 miles per hour. Damage paths can be in excess of one mile wide and 50 miles long. Every state is at some risk from this hazard. Occasionally, tornadoes develop so rapidly that little, if any, advance warning is possible before a tornado hits. The majority of tornadoes occur between 3 P.M. and 9 P.M.
Tornadoes can strike quickly so it is important to monitor the weather closely during any type of storm activity. The United States National Weather Survey will issue alerts during storms to inform people of the likelihood of a tornado forming. Monitoring these broadcasts and understanding what the different alerts mean can help you respond quickly and appropriately. Tornado Watch: Current weather conditions are ideal for the formation and development of a tornado. Increase weather monitoring and prepare to seek shelter immediately. Tornado Warning: A tornado is occurring somewhere in the area or a tornado touchdown is imminent. This is typically when a tornado siren will sound. Seek shelter immediately and wait until weather stations announce it is safe to exit. Be prepared! Too often the biggest contributor to tornado injuries and deaths is failure to respond to warnings. People who are not prepared are often caught off guard by tornadoes and don’t have enough time to seek proper shelter or warn others about approaching tornadoes. The following tips, if implemented before storms, can be the greatest method of preventing tornado deaths. Educate staff on how to assist guests and what to do during a tornado. Staff should be trained on what areas to search for guests, where the safest areas are depending on their location, and how to communicate with other staff. Know your community’s warning system. Depending on where you live your warning system may differ from somewhere else. It is important to know what the system is so you can respond immediately. Locate all gas, water, and electrical on/off switches and make sure all staff is familiar with their locations and the proper procedures for shutting them off. This step is important because after a severe storm or tornado gas leaks can result in explosions, water leaks can cause further damage, and leaving the power on can cause electrocutions. Monitor radio and television for information. Monitoring radio and television for inclement weather is always advisable, especially if any outdoor activities are planned. It is important to increase the frequency of monitoring when the skies look threatening or if thunderstorms are forecasted. Have a NOAA Weather Radio with a warning alarm to receive warnings. These devices are activated during severe weather and turn and sound an alarm immediately once an alarm or watch is issued. To learn more about this life saving device visit www.nws.noaa.gov/nwr. Make sure that designated tornado shelters are clear and accessible. All too often we use these designated spaces for storage of other items. Once a warning is issued it is important to act quickly and make sure everyone is accounted for and safely located in the designated tornado shelter area. Depending on where you are when the warning is issued there are varying degrees of safe locations to be in during a tornado. 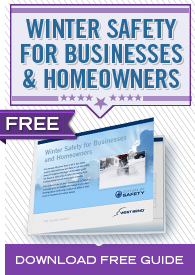 The following instructions, based off recommendations by the Federal Emergency Management Agency or FEMA, are designed to help individuals determine the safest place to protect themselves. Buildings Buildings like these should have completed tornado protocols with designated tornado shelter areas. These shelter areas will typically be on the lowest level of the building. If there is no basement, the safest area will be close to the center of the building and the farthest away from doors, windows, and exterior walls. Also, it is important to get a sturdy piece of furniture and/or blanket and put your arms over your head. Locker rooms and bathrooms are often suitable tornado safety areas. Vehicles with nearby structures Exit the vehicle immediately and get into a nearby building and follow the tornado safety protocol for the building. If traveling with a group of children in a van or bus, ensure all children have exited the vehicle safely before leading them to the safest nearby building. No nearby shelter If you are outdoors in a vehicle and a tornado is approaching do not attempt to outrun the tornado. Resist the temptation to stay in your vehicle, it is much safer to exit your vehicle and head to a low lying area like a ditch or depression, lay flat and cover your head. Also, make sure any children or campers are all accounted for and led safely to the nearest low-lying area. If you are not in a vehicle and no shelter is within a safe distance find a ditch or depression, lie flat, and cover your head. Be mindful of flying debris. The largest cause of tornado fatalities is from flying debris.